Asthma is a chronic and inflammatory condition that occurs when the airways become sensitive to an allergen that triggers an allergic reaction. 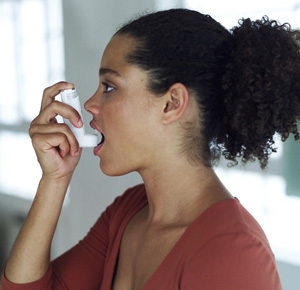 When your asthma symptoms worsen and cause your airways to narrow, it can trigger an asthma attack. This makes it difficult for the person to breathe. This is awful and prevention should be done beforehand to reduce the attacks. 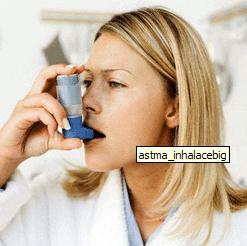 Here are some ways on how to prevent asthma attack. Protect yourself. Stay away from the triggers that can further cause severe inflammation in your airways especially in children since they have weak immune system. Triggers include cigarette smoke, animal dander, dust mites, and a lot more. One way on how to get rid of the symptoms and bring on an attack is to be free from emotional anxiety and stress. Based on statistics, 20 percent of adults with asthma results from sensitivity to medication treatment including aspirin and other non-steroidal inflammatory drugs. So, before partaking into any OTC drugs, try to ask your physician about them first. Gastroesophageal reflux is common to sufferers of asthma. Take your antacid in the right time as prevention to the occurrence of the condition. Try some relaxation techniques. Try not to panic as this causes your muscles to tense thus leading to narrowing of your bronchioles and making your breath shallow and fast. Pay attention to what you are eating as there are certain foods such as milk, eggs, and seafood that can activate your disease. Try some home remedies that can help on how to prevent asthma exacerbation such as honey and lemon. Treat other respiratory infections that can irritate the airways and worsen the condition. Follow your meds depending on your doctor’s order. Generally, your physician should have indicated instruction on what medicines to use on how to treat or cure your condition and how you can mange during exacerbation. Those are some of the facts on how to prevent asthma attack. Good luck on your quest with the condition.